First, a couple of public service announcements. You can listen to Joanna Page and Kris Marshall on Tuesday’s Daily Mayo (34 minutes, 16MB) talking about Fat Pig, and it turns out that absolutely everything I said about their interpretations of the play was right. I’m a theatre genius. You should listen to it purely for that reason alone, but it’s also possibly the only time you’ll hear either actor being asked to work out the volume of a hemisphere of radius 10cm. That might float your boat, too. Our Joanna is also going to be on The Paul O’Grady Show this Friday (5pm C4, 6pm C4+1), discussing Fat Pig again – yes, I belong to a gym that has The Paul O’Grady Show (and Robyn and The Ting Tings) playing 24/7 on its TV screens: why do you ask? Now, on with Today’s Joanna Page, which is To The Ends of The Earth. As you might have gathered by now, I do loves a nice bit of naval fiction, particularly if it’s set in the 19th century. Not all period naval fiction is the same, though. CS Forester’s series of books featuring Horatio Hornblower, personified on TV screens most recently by another Welsh god, Ioan Gruffudd, is about ambition, moral values, doing the right thing and the little details of life in the Royal Navy. The Aubrey-Maturin books by Patrick O’Brian, on which the movie Master and Commander was based, are about many things including the mechanics of sailing, politics and the state of science and medicine during the times of the Napoleonic Wars. But principally they’re about the etiquette and social life on board ships and within the Navy. You’re stuck on board a ship of war for anything up to a year with a bunch of men who were probably pressed into service, rather than having volunteered, and you have very little to do: how do you keep charge? How do you while away your time? William Golding’s “To The Ends of the Earth” is a trilogy of books that follows young aristo Edmund Talbot as he makes his way down to Australia to become a politician. As you might expect from the author of Lord of the Flies, it’s almost the flipside of the Aubrey-Maturin series: Aubrey, Maturin and the crews of the various ships Aubrey commands in the series are all jolly good chaps and fine company, with only a couple of exceptions; “To The Ends of the Earth” asks the more unpleasant question: what if you’re stuck on board a ship populated by complete bastards and you’re not too well laden with social skills yourself? What do you do then? Book 1, the Booker Prize-winning Rites of Passage, concerns the downfall of one of Talbot’s fellow passengers, the Reverend Colley and is something of a mystery story – what happened to the Reverend that brought him so low? Close Quarters follows on and concerns an obviously ill Talbot and his instant love for Marion Chumley, a passenger on another ship they encounter. The third book, Fire Down Below, concludes the voyage of the increasingly unreliable HMS Pandora. In 2005, “To The Ends of the Earth” was turned into a series of three TV movies for BBC2. Guess who they got to play Marion. As you might expect from a BBC2 production, To The Ends of the Earth is very well done. 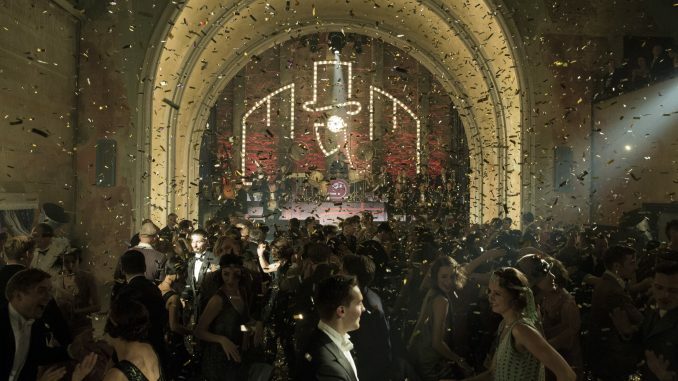 It’s scrupulously accurate, utterly believable, well acted (bar Sam “Did you say international co-production money? Then count me in!” Neill, who hams it up something chronic) and luxuriously beautiful. It doesn’t pull any punches in depicting the sheer squalor and depravations of travelling on board a man-of-war, either, with copious vomit, peeing and other bodily functions depicted in all their glory(?). You could put it side by side with Master and Commander and not see the joins or a single discrepancy between the two. The plots, too, are perfectly acceptable and fit into the general BBC remit of “educate and entertain”. If you knew nothing about 19th century naval traditions and regulations when you started, you’ll know, erm, a bit by the end, thanks to clueless characters having the rules explained to them and great big chunks of the films being given over to just about anything that could go wrong on board a 19th century ship. It’s genuinely thrilling as well, such as when the Pandora faces bad weather, a potential enemy vessel and a fire on board. The plots are also edifying enough to touch upon the culture, morals and attitudes of 19th century English society as well. Surprisingly, the movies are also scary. The crew’s superstitions, including the bizarre rite of Neptune as they pass over the equator – which again, has echoes of Lord of the Flies – make them seem completely unfathomable and dangerous. There’s a worrying section where Talbot is concussed. His servant, who disappeared, assumed murdered and thrown overboard, is suddenly back on board again – is Talbot hallucinating and deeply ill? Is it a ghost? But as I mentioned earlier, the trouble with To The Ends of the Earth is that virtually every character in it is completely unlikeable. They eventually mellow a bit, you can almost respect them, but they’re complete gits. Even the ‘hero’, Talbot (played by the wonderfully named Benedict Cumberbatch), is unlikeable. He’s privileged, looks down on others, treats women badly, uses his position to exact favours from the captain that no one else would be entitled to and is more than a bit of a coward, even though he tries to be brave. He certainly doesn’t know the meaning of the phrases “coming on too strong” and “playing it cool” either. That’s what happens if you let Piggy have the conch shell. The only exception to this general scuminess is Marion Chumley, as played by Joanna Page. A musical protégé – perhaps even prodigy, but she begs to differ – she’s on her way to India with her tutor when she encounters Talbot. Talbot falls for her instantly and then spends the next two movies obsessed with her and behaving like a loon, even though she’s not really in the third movie – all that might be from concussion though, to be fair. Marion, in a sense, follows on from Page’s role as Dora in David Copperfield – another luminously beautiful woman of good character with a plummy English accent that the hero falls in love with at first sight. As a result, she gets some great entrances. Here’s her somewhat memorable arrival at the end of the first part of David Copperfield. And here’s her arrival in To The Ends of the Earth. You might spot some similarities. Marion is a little bit less wet than Dora in the scheme of things. She is at least a semi-witty conversationalist. She has some gumption and willingness to stick up for herself and others. She tells Talbot to back off a bit when he comes on too strong. And although she starts off by saying that young people like herself are sheep that must simply follow where they are led, she has enough backbone that – watch out, spoiler alert – she eventually ups sticks from India and travels to Australia by herself to find Talbot. As I said, she’s the only likeable one. Nevertheless, the character is something of a ‘prize’. There’s no real indication given as to why she would be interested in Talbot, only that since Talbot completes his heroic journey, which ends somewhat tragically, dramatically he needs a reward for his endeavours – and she’s it. The suggestion is that she might have been swept off her feet by Talbot, but other than escape from Lord and Lady Somerset, there aren’t many hints in the story about why Talbot might be the one for her. Before she leaves for India. Which ain’t much, really, is it? Thirty minutes of screen time for three weeks’ filming, I reckon. Someone needs a word with the production manager about that. Still, not just a good entrance, but a good exit. Spoiler alert – it’s the final image (more or less) of the series. 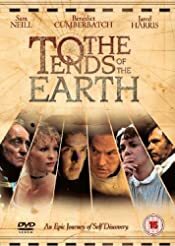 If you’re up for a bit of period naval drama, To The Ends of the Earth is one of the better entries in the genre, although might be too dark for some people, in which case you should stick with the mighty Ioan (and Paul McGann) in Hornblower or Master and Commander. On the other hand, neither of those has Joanna Page in them. Buy it from Amazon. Go on. Next time: It’s time to head off to Swansea (via Manchester and Pimlico) for Russell T Davies’ Mine All Mine.